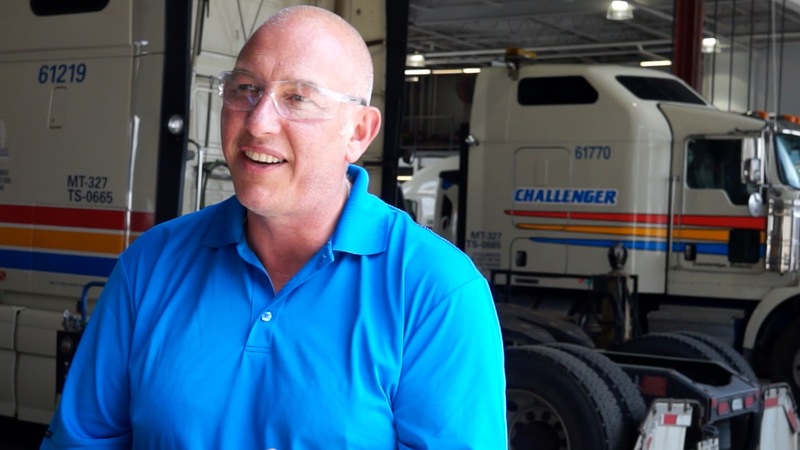 Chris Iveson, the 2015 Fleet Maintenance Manager of the Year, hasn’t found a magic formula for attracting new and experienced technicians to Challenger Motor Freight. He has, however, been able to keep his shops fully staffed by skilled technicians, by working doggedly to reach out to potential new talent. For licensed technicians, Chris told me during a recent interview that most of his success has come from reaching out to technicians via social media. Bringing in apprentices requires some more work, and a different form of outreach. To bring in young talent, Chris goes out to local training institutions and invites them into his shop. He finds young technicians like to be able to see and touch what they’ll be working on. I’ll have a complete profile of Chris in the August issue of Truck News. You can also watch this video interview with Chris here.